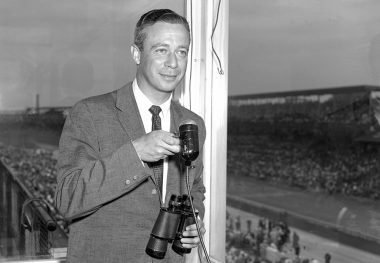 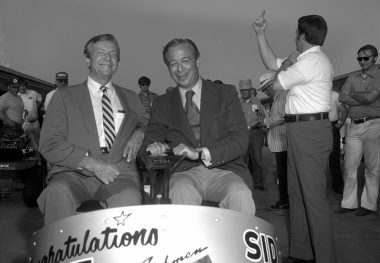 SID COLLINS was universally recognized as “The Voice of the 500” in his role as chief announcer for the Indianapolis Motor Speedway Radio Network broadcasts. 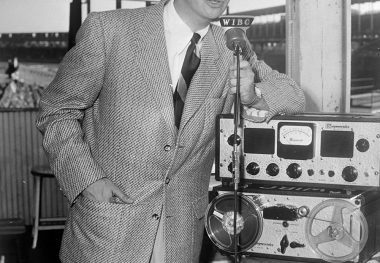 Prior to the formation of the Indianapolis Motor Speedway Network in 1952, broadcasts consisted only of five-minute updates every 15 minutes. 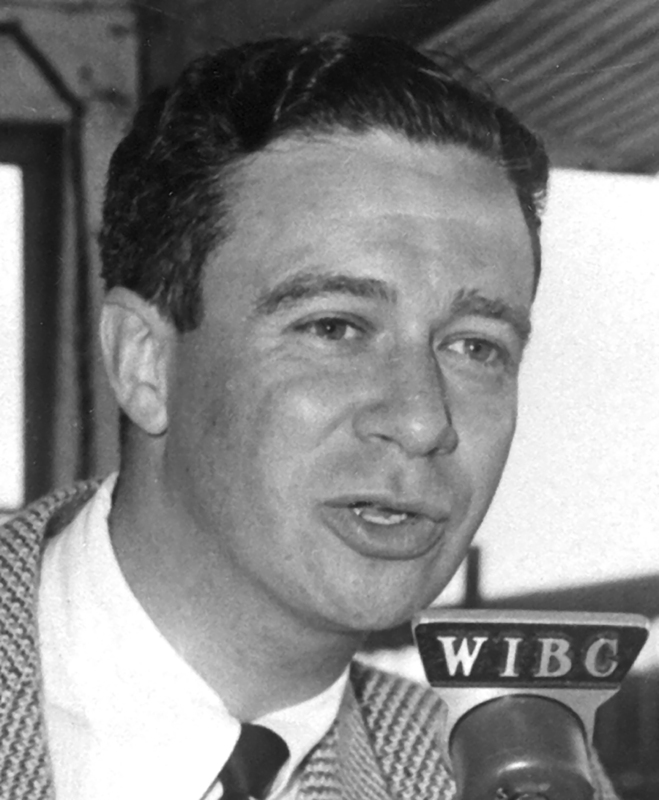 They were heard over the Mutual Radio Network and were originated by WIBC, the local radio station for which Collins worked. 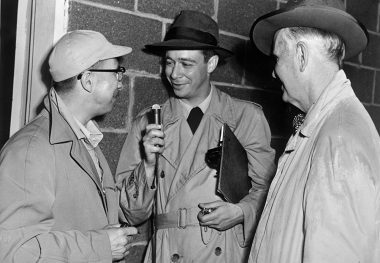 After “working a turn” for the first time in 1948, Collins co-anchored the Indianapolis 500 race coverage for the Mutual Radio Network in 1950 and 1951. 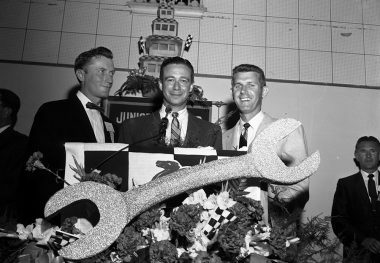 The first “flag-to-flag” coverage of the 500 was in 1953. 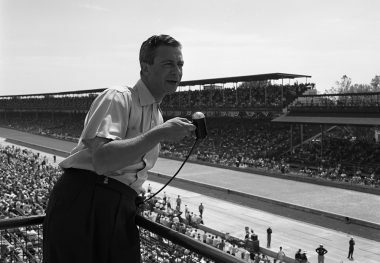 By 1954, the Indianapolis Motor Speedway’s history-making four and one-half hour marathon broadcast could be heard over the United States Armed Forces Radio Network in Germany and it was not long before more than 1,000 stations were carrying Collins’s eloquent “word picture.” His local broadcasts from the track numbered in the hundreds over a period of more than 30 years and for several years he was master of ceremonies for the Indianapolis 500 Victory Banquet.